IN 1893, the World’s Fair: Columbian Exposition was held in the city of Chicago to celebrate the 400th anniversary of Christopher Columbus’ maiden voyage across the Atlantic. Officially shortened to the Columbian Exposition, the choice of location was testament to the rapid growth of Chicago by the end of the 19th century. At the centre of the Exposition were its Great Buildings – 14 expensive, white painted Neo-classical structures, built in the European style to proclaim Chicago’s ascendance as a cultural capital of international renown. Nicknamed the White City, these buildings framed an emerging Chicago, rising from the ashes of the catastrophic Great Fire to compete as the equal to any of the world’s great cities. While these Great Buildings dominated the eye, underneath their glimmering facades lived a wholly integrated mini-city, built entirely for the fair. Landscapes, promenades and waterways were designed not just to bring out the best in their own grandeur, but also to magnify the structures around them. Inspired by the majesty of this intertwined vision, the Merchant’s Club of Chicago commissioned its creator, architect Daniel Burnham, to create the Plan of Chicago in 1909, the first fully comprehensive city plan in the United States. While Burnham expected his eye-catching recreations of great European structures to win renown, it was actually his original, integrated vision of architecture, landscape and urban planning that left a lasting mark on the city. In response to this new job, he drafted a team of paid experts, unpaid volunteers, architects, artists, journalists and interested ordinary citizens to help develop a comprehensive plan that would promote Chicago as an attractive place to live, all while enabling its continual growth. The end result of this process became Burnham’s driving motto: civic pride through harmony and livability. This idea quickly grew into the basis of the City Beautiful Movement that would come to shape the rapidly expanding population centres of 20th century America. Although its social merits weren’t entirely pure, the movement was a major turning point in the development of the American city. Today, only a few remnants of Chicago’s first Great Buildings still exist, scattered across the city as impressive but ageing remnants of a culture imitating European modes of identity and style. In contrast, Burnham’s uniquely American concept of urban planning dictates the growth, beauty and pride of the United State’s third largest city, a model that the rest of the country continues to emulate. Much like the late Industrial Revolution American city, Major League Soccer has rapidly grown since its own genesis. Similarly, at the beginning of its ascendance, in an attempt to assert its own authority as a league, teams looked towards Europe as a source of culture, and a corresponding version of identity. A popular way in which to do this was through player signings. David Beckham, Didier Drogba, and Thierry Henry were stars brought in not so much for their current abilities, but rather in an attempt to create a product the league felt was legitimate. 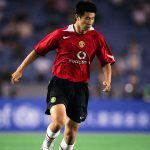 While some of these transfers – Robbie Keane, Sebastian Giovinco and David Villa – were a success in both name recognition and on-field contributions, often these expensive, high-profile moves felt a bit forced; like a league and general manager spending millions on a monument to themselves, rather than the actual improvements their team needed. 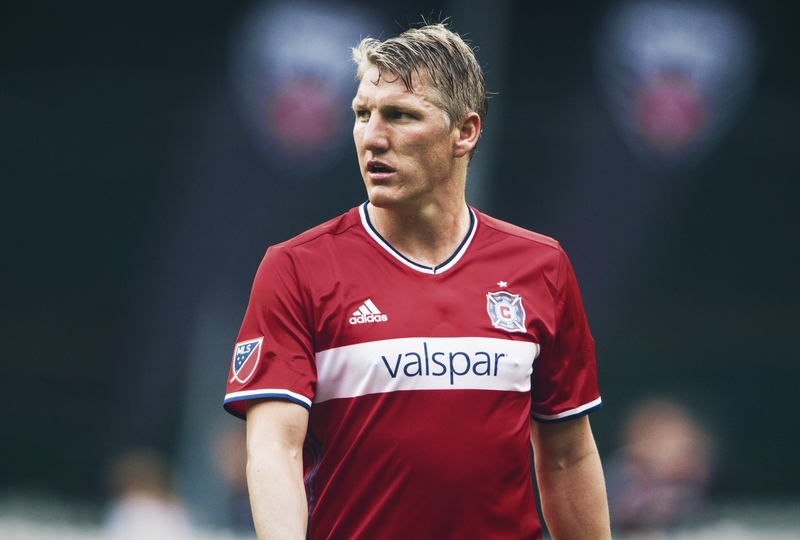 One of the most recent of the big-name MLS announcements was Chicago’s re-signing of Bastian Schweinsteiger to a Designated Player contract. While the specific details of the contract are unclear, it’s imagined the German will make close to the $4.5 million he earned in 2017. A Bundesliga, Champions League and World Cup winner, Schweinsteiger undoubtedly adds a certain degree of talent and name recognition to a club on the periphery of the world’s game. Not only that, the former Bayern star remains a model professional. He fits in well with the team structure, makes an effort to connect to the city of Chicago, and, at 32, remains one the better players in the league. That’s never been the question. At the heart of this issue is that, by signing a player like Schweinsteiger, the Fire are essentially admitting that they’re willing to wager their success on circumspect marketing. Is a midfield metronome like the German star with three goals and six assists – worth 10 times as much as a player with identical stats and sell-on value like Darlington Nagbe? Not only that, is paying one player the same salary as the Fire’s combined 14 next-highest earners conducive to building a functional, representative team? Of course not – especially in Chicago, a city at war with the many effects of one the United States’ biggest gulfs in income inequality. Schweinsteiger is Chicago’s 21st-century Great Building. Looking past the impressive facade and he’s simply an expensive monument blocking the vision towards a more progressive future. Instead of looking outwards towards Europe, it’s time for teams like Chicago to turn towards their base not only as a source of validity, but inspiration as well. Namely, the most important remnant of the Columbian Exposition: the principles of the City Beautiful movement. Even its most enthusiastic denizens wouldn’t argue that Chicago is a cold, windy and generally grey outpost for six months of the year. Drive in almost any direction, and within an hour you’ll be engulfed by the seemingly endless fields of the American Midwest. But deep within the heart of the city, Chicago feels alive in a way unlike any place in the country. Not simply because it exists, but because it was built for us. Its diverse network of parks, streets, cultural centres and neighbourhoods are all connected under this singular idea. Living there, this shared narrative quickly becomes personal, and thus, a part of you. It’s what people mean when they say that they love Chicago. In recent years, intelligent franchises are starting to realise that these plans for integration are not only applicable to fostering a sense of belonging in cities, but in clubs as well. 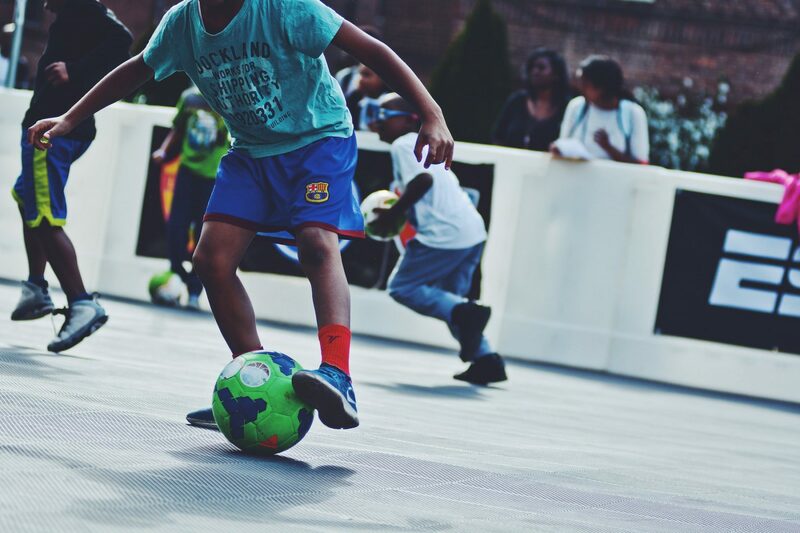 By integrating their signings and teams into the unique history and demographics of a city, sides are transcending their original role as entertainment; instead, becoming a wider representation of their overall communities. In the process of building ties to their locality, this sense of identity creates emotional connections, puts fans in seats, and most importantly, makes money. To achieve this, ownership needs to cease the process of using fans purely as a projection of their own dated ideas of business. While in practice, this isn’t necessarily a bad idea, metrics MLS hierarchy certainly can cite, seeing fans strictly as consumers has a low ceiling for expansion. In contrast, it’s been refreshing to see a rare MLS club like Atlanta United treat consumers as supporters, in the process proving that community reflection isn’t mutually exclusive to growth. Instead of attempting to replicate another’s model, Atlanta has found success in borrowing aspects from a variety of mores to drive recruitment, engagement, and its corresponding version of success. The end result is a franchise that’s become personal to the city. By intertwining European, South American and Southern traditions, the club has created a team, style and culture that’s not only exciting, but distinctly their own. Yet, even with Atlanta’s early success, they still have the feel of an anomaly rather than the blueprint. In reality, the club should stand as a case study to the rest of the league. When you invest in your own locale, not only do you have the chance to create something real and unique, you turn consumers into supporters. Supporters are lasting. Consumers will always be fleeting. And it’s ok to want to create something that feels legitimate to the rest of the world. But when this sort of self-congratulation continues to impede the progress of representation, the sport can never reach its full potential for communities.